Why spend big bucks on fancy wine glasses and wine fridges when you can stash a few of these nifty glasses in the freezer! 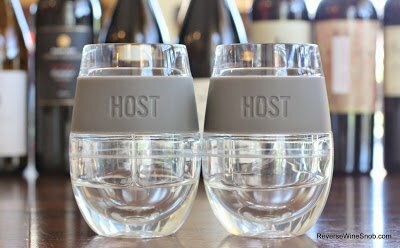 Always be prepared with these freeze cooling wine glasses from Wine Dweller! A set of 2 glasses is on sale for just $24.99. Plus get a 10% discount when ordering more than one set! Sample submitted for review. Put them in the freezer to take your white wines down to 45° or in the fridge to chill your red wine to 60°. Of course, I know what some of you are thinking…how could a product like this, which only costs $12.50 per glass, actually work when the wine industry tells us we have to spend way more than that to buy the exact right wine glass for each varietal? Well, if you’ve read our Ten Tenets of Reverse Wine Snobbery then you know our answer (which is something we’ll be discussing in more detail in our upcoming book). To put it simply, the whole expensive wine glass and matching your glass to the right variety is pure bunk for 99% of the population. Or to be exact, it’s pure marketing spin designed to separate you from your dollars. Don’t believe me? 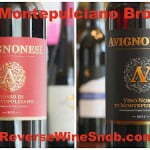 Check out the recent feature “Are We Wasting Hundreds of Millions of Dollars on Wine Glasses Every Year?” at VinePair. That out of the way, let’s get to the review! 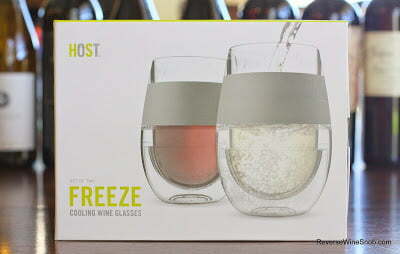 The Host Freeze Cooling Wine Glasses from Wine Dweller. 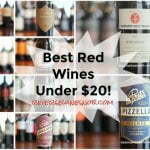 To test the Host Freeze Cooling Wine Glasses I gave it a try with a wine that we are very familiar with and that spent time on the 2013 version of our Top 10 Whites Under $20 list, the2011 Nuraghe Crabioni Vermentino di Sardegna. After popping the glasses in the freezer overnight, I pulled them out and filled them from the room temperature bottle. 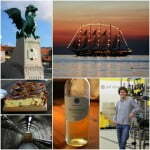 Sure enough, in no time at all, the wine was completely chilled — in fact, it was almost too cold! After about an hour when my glass was empty, I refilled it from the bottle and about 5 minutes later I had another glass of perfectly chilled wine. And an hour after that I did it again and it was still perfectly chilled. 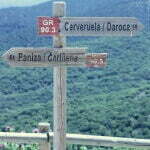 Better yet, the wine itself tasted just as good as it always has. 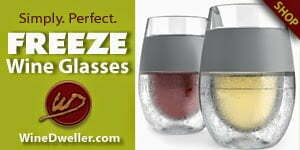 Find the Freeze Wine Glasses at Wine Dweller. Just pop in the freezer, pour and enjoy perfectly chilled wine!